lodgement of your ITR with the ATO. What assistance does Airtax offer you to complete your GST or ITR compliance obligations? Airtax may assist you to prepare and lodge your BAS each period (whether quarterly or monthly) and/or your annual ITR based solely on income, expenses and other information provided by you or third parties authorised by you. You are responsible for ensuring that your income, expenses and other information entered into Airtax are true and correct. We prepare your BAS and/or ITR and calculate the GST and/or Income Tax amount payable or refundable to the ATO based on this information. Once the BAS and/or ITR has been prepared, you review and confirm that the information you have imported, uploaded or provided is accurate and complete, and PwC will then lodge the BAS and/or ITR on your behalf. The services that are provided via Airtax are BAS and/or ITR preparation and lodgement services only. Airtax Business Assist service is a phone based lodgement service where Airtax may assist you in preparing your BAS. Airtax Business Assist service also includes lodgement of the submitted BAS. Airtax Tax Assist service is a phone based lodgement service where Airtax may assist you in preparing your income tax return. Airtax Tax Assist service also includes lodgement of the submitted income tax return. Airtax Tax Companion service is a phone based question and answer service where Airtax may assist you in answering your questions in relation to tax via a one-off phone call. The costs of this service may be covered under a separate agreement and not be passed onto the customer. You agree to pay our fees on the relevant basis set out below, subject to any applicable discount. The above costs are inclusive of GST. You will be charged by credit card prior to the lodgement of the BAS or ITR as applicable. From time to time, at PwC’s discretion, a discount on the price stated above may be available. If you are entitled to the benefit of a discount then the discounted amount, rather than the amount stated above, will be the applicable price. Our services are based on our understanding of current law and the current policy and practice of the ATO or other relevant tax authority as at the time we provide the relevant services. Who is eligible to use Airtax? To use Airtax, you need to earn your income as an individual (i.e. not earning income as a partnership or an entity such as a company) and be eligible based on PwC’s client acceptance rules. We use information provided by you during the registration process to assist in determining your eligibility. If you are eligible, you can start using the service immediately. you do not have a tax file number. wish to report business income related to your ABN for a period prior to 1 July 2015. It is important to keep in mind that the positions taken in activity statements, tax returns or other documents (including the BAS and ITR) lodged with tax and revenue authorities are not beyond challenge by the relevant authority and that tax and revenue authorities may have wide-ranging powers of investigation and discovery. All tax and revenue laws in Australia require taxpayers to keep full and accurate records relating to their tax affairs. Penalties may be imposed if a taxpayer fails to comply with these requirements. Maintaining comprehensive records can also be beneficial in supporting your position in a tax dispute as the onus of proof is with the taxpayer. the last tax return in which they were included was filed. make any such amendment within a prescribed time limit (currently four years), except in the case of fraud or evasion where there is no time limit. A taxpayer may lodge an objection disputing an assessment (or amended assessment), but this must be done within certain time limits. The time limits depend on individual circumstances and may be up to four years from the date of the original assessment. If there is an adverse decision on an objection, it may be appealed through the Administrative Appeals Tribunal. We will provide you with access to a Help Centre. This will provide general information that is publicly available. We will not provide you any information which is specific to your circumstances or anything that may constitute advice. You appoint PwC to be your BAS Agent and/or your Tax Agent to prepare and lodge the relevant BAS and/or ITR only. This includes authorising PwC to give the BAS and/or ITR to the Commissioner of Taxation. For Airtax Platinum users PwC will also be an authorised contact person with the ATO for you. For all other users of Airtax (i.e. Airtax Consumer), PwC will not be an authorised contact person with the ATO for you. PwC will not, as part of its scope of services, assist you with any dispute with the ATO. Tax authorities have strict penalty regimes for the late lodgement of tax returns. Under the Australian regime, the base penalty is $210 for failing to lodge a tax return on time for each period of 28 days (or part of a period of 28 days) up to a maximum non-deductible base penalty of $1050. If you provide us with all the relevant information in sufficient time for us to lodge the return by the due date, administrative penalties for late lodgement of the return may not apply if the return is actually lodged late. Other penalties and interest can also apply where late payments are made, or where other forms are filed late. The default lodgement date for all taxpayers in Australia is 31 October for the immediately preceding 30 June. Where a taxpayer is on a Tax Agent's lodgement program and the taxpayer is up-to-date with their prior year returns, the taxpayer may have an extended lodgement date of 31 March or 15 May following the preceding 30 June. Taxpayers who are included on a Tax Agent lodgement program must lodge their Australian returns on-time and electronically, in order for the Tax Agent to continue to benefit from the extended lodgement dates. Accordingly, we reserve the right to remove you from our lodgement program if you do not authorise electronic lodgement of your return within a reasonable period prior to the due date. If you are removed from our lodgement program, your lodgement date will revert to the default lodgement date of 31 October and any late lodgement penalties and interest will then be calculated from this date and not the extended lodgement date under the Tax Agent's lodgement program. Set out below are the terms & conditions that apply to your use of Airtax, subject to PwC confirming that you are eligible. PwC will check your eligibility to use Airtax based on the information you have provided using Airtax. A contract with PwC in relation to PwC’s provision of the Services is not formed unless and until PwC confirms your eligibility; however, clauses 4, 5, 6 and 15 of the terms & conditions, relating to confidentiality and privacy, liability, use of Airtax and data hosting, will have effect from when you click “Accept” on the terms and conditions. These terms & conditions take precedence. If anything in these terms & conditions is inconsistent with any other information that we provide to you, including through Airtax, these terms & conditions take precedence (with the exception of Airtax Platinum users, for whom the agreed engagement terms would take precedence). 1.1 Scope – This agreement sets out the terms & conditions on which we permit you to use Airtax. We provide our Services to you via your use of Airtax. 1.2 Changes – We may modify these terms & conditions at any time by incorporating a revised version into Airtax or by notifying you. The effective date of any modification of the terms & conditions will be upon incorporation into Airtax. By continuing to use the Services after the effective date of any modification, you are bound by the modified terms & conditions. It is your responsibility to check the terms & conditions for modifications. Any other changes to the Services or these terms & conditions must be agreed between us in writing. 1.3 Services for your benefit – Our Services are provided solely for your use for the purpose of preparation of business activity statements (“BAS”) and/or income tax returns and lodgement of BAS and/or ITR with the Australian Taxation Office (“ATO”). 1.4 Authorisation to prepare and lodge BAS and/or ITR – By accepting these terms & conditions, you authorise us to prepare your BAS and/or ITR on your behalf, as your BAS agent and/or tax agent. By authorising us to lodge a BAS and/or ITR in Airtax, you authorise us to lodge the BAS and/or ITR on your behalf, as your BAS agent and/or tax agent. 1.5 No liability to third parties – We accept no liability or responsibility to any third party in connection with our Services. You agree to reimburse us for any liability (including reasonable legal costs) we incur in connection with any claim by a third party arising from your breach of this agreement. 2.1 Generally – You must ensure we are permitted to use any third party information or intellectual property rights you require us to use to perform the Services. 2.2 Information – You are responsible for the completeness and accuracy of all the information used to complete your BAS and/or ITR in Airtax, irrespective of the source of that data. We will rely on this information to provide Services to you and accept no responsibility for its completeness or accuracy. 2.3 Records – You must keep adequate records to substantiate all amounts referred to in a BAS and/or ITR, by retaining valid tax invoices or similar evidence. 2.4 Interdependence – Our performance depends on you also performing your obligations under this agreement. You agree we are not liable for any default to the extent it arises because you do not fulfil your obligations. 2.5 Third party information – You must authorise third parties who hold relevant information (for example, information about revenue) to provide that information to us for the purpose of use in Airtax, if requested by us. 2.6 BAS and/or ITR declaration – You must ensure that any declaration or other statement you make in connection with a BAS and/or ITR is correct. 3.1 You must pay our fees for the Services. 3.2 The fee for preparation and lodgement of a BAS using Airtax is $49. Payment is due on a quarterly or monthly basis prior to the BAS lodgement. 3.3 The fee for preparation and lodgement of an ITR using Airtax is $99 see the ‘About Airtax’ section for further details. Payment is due on an annual basis and prior to the ITR lodgement. 3.4 All fees are inclusive of GST. 3.5 All fees must be paid by credit card. You consent to the fees being charged to your credit card through the use of the Stripe Australia Pty Limited payment facility (“Stripe”) which will process the credit card transaction. You consent to PwC providing your personal information and details of the Services to Stripe as required by the terms of the agreement between PwC and Stripe. 4.1 Confidential information – We each agree not to disclose each other’s confidential information, except for disclosures required by law, or confidential disclosures by PwC under its policies. 5.1 Accountants scheme – Our partners are members or affiliate members of Chartered Accountants Australia and New Zealand (“CAANZ”). Where CAANZ schemes have been approved under professional standards legislation in force in Australian states or territories, our liability in connection with the Services is limited in accordance with those CAANZ schemes. Legislation providing for apportionment of liability also applies. 5.2 Liability cap where no scheme – Where our liability is not limited by a scheme, you agree our liability for all claims connected directly or indirectly with the Services (including claims of negligence) is limited to an amount equal to the amount of the fees paid for the Services in the previous 12 month period. a) nothing in this agreement excludes, restricts or modifies any guarantee, condition, warranty, right or remedy implied or imposed by any statute which cannot lawfully be excluded, restricted or modified (Non-Excludable Condition). 6.1 Electronic communications – We each agree to take reasonable precautions to protect our own information technology systems, including implementing reasonable procedures to guard against viruses and unauthorised interception, access, use, corruption, loss or delay of electronic communications. a) Airtax remains our property, and no intellectual property in it is transferred to you under the terms of this agreement or otherwise. b) Airtax is for the use of our clients solely for the purposes described in it. You may not make any use of Airtax other than for those purposes and on the terms and conditions set out in this agreement. c) you may not provide Airtax, or access to it, to any third party without our consent or otherwise as set out in Airtax. You must not copy, reproduce, translate, modify or alter Airtax or do any act which infringes the copyright relating to it. d) you may not, in connection with the use of Airtax, send, store or distribute any viruses, worms, Trojan Horses or other disabling code harmful to a network or system. e) you must ensure that you and anyone who you permit to use Airtax on your behalf uses reasonable efforts to prevent any unauthorised use of it, and you will immediately notify us in writing of any unauthorised use that comes to your attention. f) you are responsible for any use of Airtax by any person you permit to use it on your behalf as if you were the user. 6.3 Connecting to Airtax through a third party service – If you log on to Airtax through a third-party service, you give us permission to access and use your information from that service as permitted by that service, and to store your login credentials for that service. 7.1 Subcontractors – We may use subcontractors, including other PwC firms (in Australia or overseas) to perform or assist us to perform the Services. Despite this, we remain solely responsible for the Services. 7.2 No claims against other PwC firms - No other PwC firm has any liability to you in connection with the Services or this agreement and you agree not to bring and to ensure none of your affiliates brings any claim (including in negligence) against any other PwC firm or its partners or employees in connection with the Services (including in connection with Airtax) or this agreement. Any partner or employee of another PwC firm who deals with you in connection with the Services does so solely on our behalf. 7.3 Benefit of clause 7.2 - Clause 7.2 is for the benefit of other PwC firms and their partners and employees (each a beneficiary). You agree each beneficiary may rely on clause 7.2 as if they were a party to this agreement. Each beneficiary that provides or assists in providing the Services relies on the protections in clause 7.2 and we accept the benefit of clause 7.2 on their behalf. 7.4 Transfer of information - We use contractors or suppliers located in Australia and overseas to provide us with Services we use in performing Services and in our internal functions. Other PwC firms may be involved in our client relationship management and other admin systems and in quality reviews. You consent to information provided to us by you or on your behalf (including personal information and your confidential information) being transferred to those contractors and suppliers and to other PwC firms and our subcontractors, so long as they are bound by confidentiality obligations. You are responsible for keeping records in connection with any BAS and /or ITR prepared and lodged on your behalf. We provide an optional service to upload expense items including receipts to store digital documents. If you upload documents or material with us, we may at our discretion delete or destroy them (except to the extent we are required by law to retain them). 9.1 By notice – Either of us may terminate this agreement by giving the other 14 days notice via notification in Airtax (unless it would be unlawful to do so). This agreement terminates on expiry of that notice. 9.2 Changes affecting independence – Changes to the law or other circumstances beyond our reasonable control may mean that providing the Services to you results in us ceasing to be independent of an audit client. If that happens, we may terminate this agreement immediately by giving you notice in writing. 9.3 Fees payable on termination – You agree to pay us for all Services we perform before termination on the basis set out in the Fees section of Airtax. 9.4 Clauses applying after termination – The following clauses continue to apply after termination of this agreement: 1.3, 1.4, 1.5, 2.3, 3, 4, 5, 7, 9.3, 9.4, 14 and 15. We are your independent contractor. You agree that we are not in a partnership, joint venture, fiduciary, employment, agency or other relationship with you. Neither of us has power to bind the other. Nothing in this agreement applies to the extent that it is prohibited by the Corporations Act 2001 (Cth) or the rules of the US Securities and Exchange Commission. Neither of us is liable to the other for delay or failure to fulfil obligations (other than an obligation to pay) to the extent that the delay or failure arises due to an unforeseen event beyond their reasonable control which is not otherwise dealt with in this agreement. Each of us agrees to use reasonable endeavours to remove or overcome the effects of the relevant event without delay. You cannot assign or deal with your rights under this agreement without our prior written consent. The law applying to this agreement is the law in force in New South Wales. Both of us submit to the exclusive jurisdiction of the courts of that state and waive any right either of us may have to claim that those courts do not have jurisdiction or are an inconvenient forum. b) the Heroku Inc. Terms of Service available at https://www.heroku.com/policy/tos. In addition, coupon codes cannot be used if your account is in credit and can only be used once. 17.5 we, us, or PwC – the Australian firm of PricewaterhouseCoopers, a partnership formed in Australia. I have read these terms & conditions and accept them. I acknowledge and agree that the terms & conditions (other than clauses 4, 5, 6 and 15) will not have effect unless and until PwC confirms my eligibility to use Airtax. PricewaterhouseCoopers (PwC, we, us, our) is committed to protecting your privacy. We are bound by the Privacy Act 1998 (Cth), and comply with our obligations under the Australian Privacy Principles. If you provide us with personal information about others, you agree to inform the individual that the information is being collected and why, how it will be used and the matters outlined in this statement. You don’t have to provide us with your personal information, but if you do not, we may not be able to offer you access to our App or our services, or may be restricted in the way we provide our services to you. 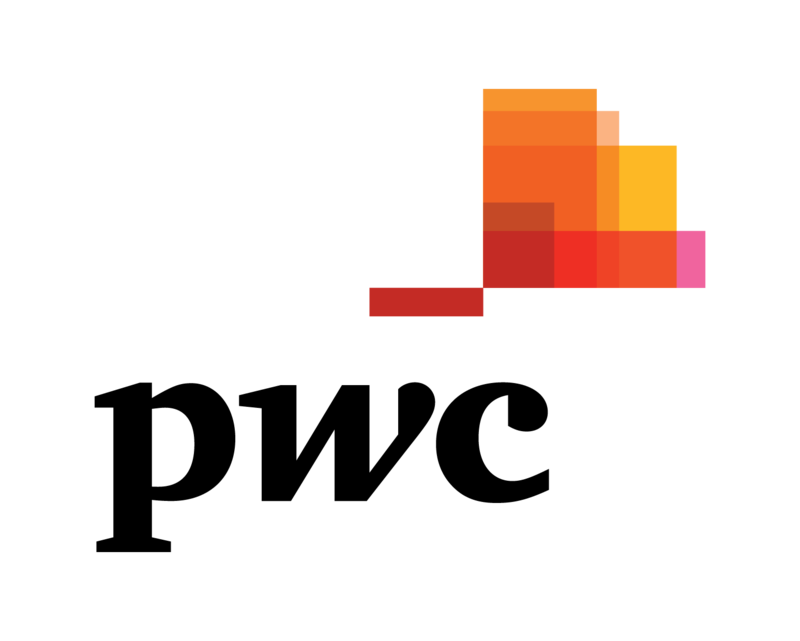 PwC is a global network, with member firms located around the world. We may transfer or disclose your personal information to PwC member firms, but only for the purposes set out above. You can find a list of countries in which PwC member firms are located here: PwC territory sites We also use third party service providers such as IT, web hosting, data storage, back-up and data analysis service providers located in various countries to process information on our behalf. These service providers are bound to maintain appropriate levels of information security and confidentiality, and to process personal information only as instructed by PwC.